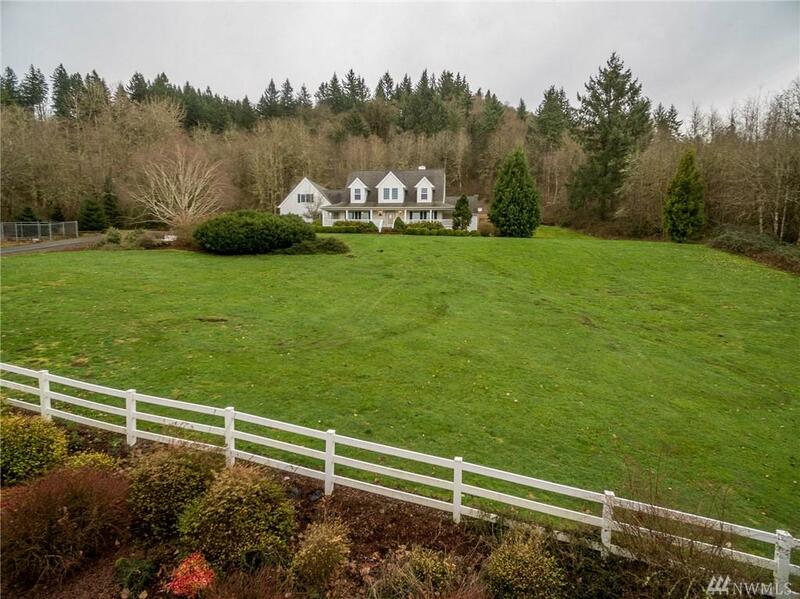 Custom farmhouse on a close-in lot, fruit trees, berry patch and fenced garden area. 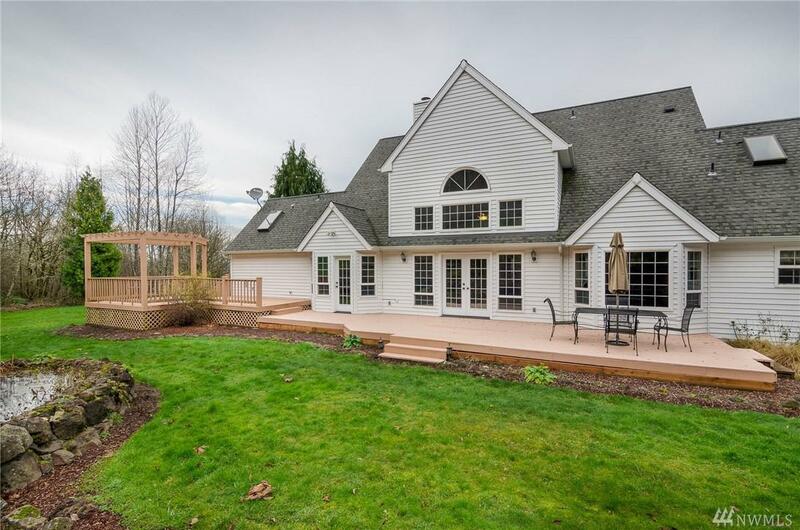 Enjoy the pond from the back deck, or watch the sunset from the covered front porch. 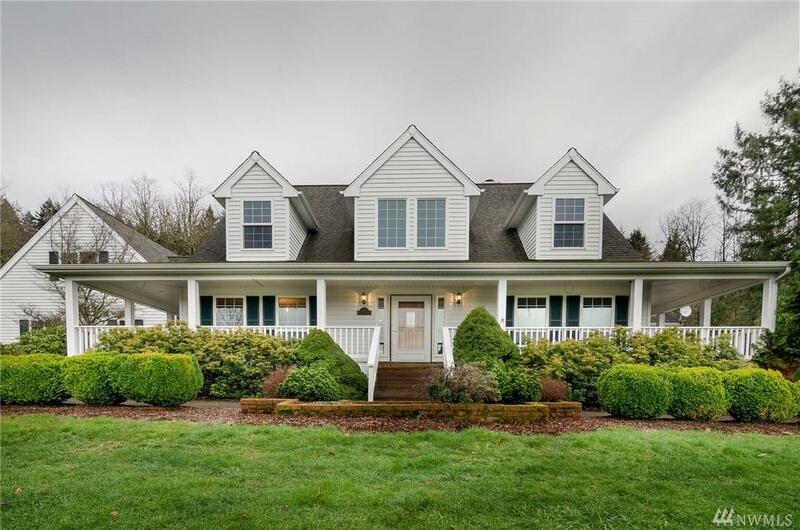 Main floor has master suite, formal dining room has builtin cabinets, updated kitchen with eating space,living room with vaulted ceiling, 4th bedroom or office.On the 2nd floor there are 2 bedrooms along with a huge bonus room that has private entrance.Gated community.